First Choice Business Capital concentrates on providing fast and hassle-free bad credit business loans in New Rochelle, NY, for all kinds of businesses with bad credit. At First Choice, we realize how aggravating and discouraging it can be, if you have a low credit score and you’ve been denied financing by conventional banks. That’s why we have dedicated ourselves to making business-funding choices readily available to all enterprises, regardless of a bad credit history. Business Loans with Bad Credit — 24 Hr Approvals! Most likely you are quite upset and frustrated from being denied, but we can help. Banks deny loans for many reasons and it could be as straightforward as poor credit. However, there may be other considerations at play, such as a tax lien against the company or a court judgment. 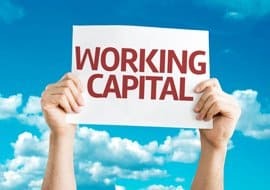 Notably, a business must have working capital in order to stay afloat. When the economic situation tanked in 2008, businesses suffered. Since then, getting a bank loan has become much tougher. As a result, new regulations have been created and they apply to small and medium-sized entities. This means that the ones affected are those companies with no more than 50 employees. Unfortunately, this situation is a burden to those needing funding, but it has opened the doors for alternative finance companies to step in to provide much-needed services. Business cash advance and high-risk finance companies, such as First Choice Business Capital, are immediately available to provide you with a quick no-nonsense financing approach and getting you quick approvals for your business loan. So, despite of what you may have heard, it is most definitely real that businesses with bad credit can readily get the funding they need by leveraging the various alternative-lending opportunities available to them. It is a pity that many individuals do not know their options. However, the good news is, they really exist — and the best part is, they are unsecured! Loans are out there, even with no collateral and bad credit. On the positive side less than perfect credit does not equal a denial. For this reason, we offer business loans with poor credit. It’s important to realize that business loans for bad credit are given for all sorts of businesses in New Rochelle. Also, it it true that you can get bad credit business loans fast. With First Choice Business Capital, you can usually receive capital within just one day! First Choice not only provides a high approval procedure but an immediate one, as well. We understand the dire need to obtain the working capital you need. Furthermore, we realize that you need the money now, and pride ourselves in helping you get the funds as rapidly as possible. Merchant cash advances like this are also called MCAs. When conservative options do not work due to lack of great credit, these bad credit business loans can be a wonderful business opportunity for a company in dire need of cash. Another key point to know is that you don’t need collateral to qualify for a business cash advance. This makes it even easier to qualify for a loan if you’re a business with poor credit. Additionally, we offer custom loans for businesses in all types of industries. The only qualifying measures we need from you are that the business has been operating for at least 3 months and you’re depositing around 8-10 thousand dollars typically over the last 3 months. Moreover, MCAs offer many advantages to all kinds of companies like yours. A big advantage of this type of loan is that you can obtain the funds in a fraction of the time of a traditional banking loan. Most loans are approved in a day and more than 90% of all requests get a loan approval. Plus, loans are funded within 48-96 hrs. after a loan approval. Do you know the best part? As soon as you get approved, you will have the cash you need in two to four days. Not to mention you do not have to go through a lengthy loan process, either. You only have to fill out a one-page application and you will need to provide bank statements from the last six months. This is everything you have to do to get approved quickly. Similarly with this data, we can work on approving you very fast. If you need a bad credit business loan right away, a merchant cash advance could be just the solution you are looking for. A short-term business loan in the form of a merchant cash advance is probably the answer. These loans usually range from four to 18 months and have a fixed cost of capital. Furthermore, you can make MCA payments daily or weekly. For instance, you can make payment loans from Monday through Friday. Merchant cash advances ordinarily have anywhere between 20 and 22 payments each month. Many companies can get short-term business loans bad credit. First Choice loves to help all kinds of companies. Here is a sampling of the types of companies we coordinate with: Beauty Shops, Tire Shops, Carpentry, Construction, Masonry and Stonework, Driveway and Parking Pavement, Heating and Cooling, Gasoline Service Stations, General Building Contractors, Automotive/Mechanic Repair Shops, Wrecking and Demolition companies, Automotive Body Repair and Painting, Home Health Services, Interior Decorators, Pest Control, Cafes and Restaurants, Rigging and Scaffolding, Water Well Drilling and Trucking. These are just a several trades that are eligible for business loans with bad credit. We can work with any business that has bad credit and meets our minimum criteria. Merchant cash advances are available to business entities in the following states: Wisconsin, Wyoming, West Virginia, Washington, Virginia, Vermont, Utah, Texas, Tennessee, South Dakota, South Carolina, Rhode Island, Pennsylvania, Oregon, Oklahoma, Ohio, North Dakota, North Carolina, New York, New Mexico, New Jersey, New Hampshire, Nebraska, Nevada, Montana, Missouri, Mississippi, Minnesota, Michigan, Massachusetts, Maryland, Maine, Louisiana, Kentucky, Kansas, Iowa, Indiana, Idaho, Illinois, Hawaii, Georgia, Florida, Delaware, Connecticut, Colorado, California, Arkansas, Arizona, Alabama and Alaska. Work Only with Respectable Bad Credit Business Lenders! When trying to get bad credit small business loans, be sure that you are dealing with a highly regarded broker. You should be careful, because maneuvering through all the different lending institutions can be a little tricky. Lenders sometimes provide the wrong information, which can leave a borrower rejected from a business loan opportunity. It’s important to realize that a respectable brokerage house should have extensive knowledge of the industry. Also, it should know effective ways to fiance businesses, and it should have a complete understanding of the process. Also, you will want to ensure the brokerage firm is not presenting your deal to a wide variety of lending institutions. It’s good to know that when a lender shops around a borrower’s application to multiple lenders, it could lead to the borrower’s credit being negatively affected even further. Hence, you want to choose a genuine company like First Choice Business Capital to make certain this does not happen. You do not have to wait until after your credit score is better to get a loan. Also, you don’t have to let any business potential pass you by and don’t have to surrender your personal belongings or property to use as collateral for a loan. It is a simple, one-page application. Fill it out online or call us today!